The “Harper Valley P.T.A” saga began with a song. In 1967, Bobbie Gentry had a crossover monster hit with her song “Ode to Billie Joe.” Margie Singleton had some success with her cover of Gentry’s song, so she asked Tom T. Hall to write a similar song for her as a follow-up. The song that Hall wrote for Singleton was “Harper Valley P.T.A.,” which he based upon a story he’d heard growing up in Olive Hill, Kentucky. However, Jeannie C. Riley, from Anson, Texas, recorded a version of “Harper Valley P.T.A” on July 26, 1968, and it was on the radio and on the Billboard charts in August. The song became a huge hit, reaching number one on the Billboard Hot 100 on September 21, 1968, and topping the Billboard Hot Country chart on September 28, 1968, making it the first song by a woman to reach the top of both charts. For an engrossing look at the history of the song, don’t miss the Cocaine & Rhinestones podcast episodes on producer Shelby Singleton‬, singer Jeannie C. Riley‬ and songwriter Tom T. Hall‬. © 1978 April Fools Productions, Inc. In 1976, after years of offers, the hit song “Ode to Billie Joe” became the hit movie Ode to Billie Joe. The success of that film prompted Cincinnati’s Phil Borack to secure the rights to “Harper Valley P.T.A.,” another filmic “story song,” and the Harper Valley P.T.A. movie began filming in October 1977. The song’s narrative serves as the film’s foundation, but it’s fashioned into a “zany” comedy. When the Harper Valley Parent Teacher Association (PTA) sends a letter to a mother, denouncing her short miniskirts, that mother strikes back at a P.T.A. meeting that afternoon. In the film, the mother continues seeking revenge against P.T.A board members by using their sins against them in an escalating series of pranks. Harper Valley P.T.A. was filmed in Lebanon, Ohio, with additional scenes filmed in California. 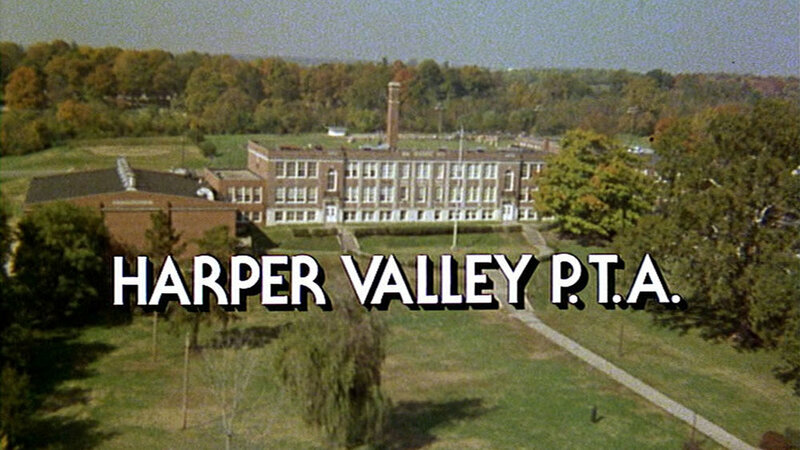 As the song plays, the film opens with an unbroken 2-minute-and-20-second aerial "establishing shot" of Harper Valley, beginning with a lingering loop around the featured school and continuing over the downtown area. Other aerial shots zoom into specific locations seen throughout the movie. Later, the film’s ending features additional aerial views of fictional Harper Valley. The overhead shots actually show Lebanon, Ohio, where many of the exterior locations were filmed. We see Dee ride up on her bike here with a letter from the P.T.A. 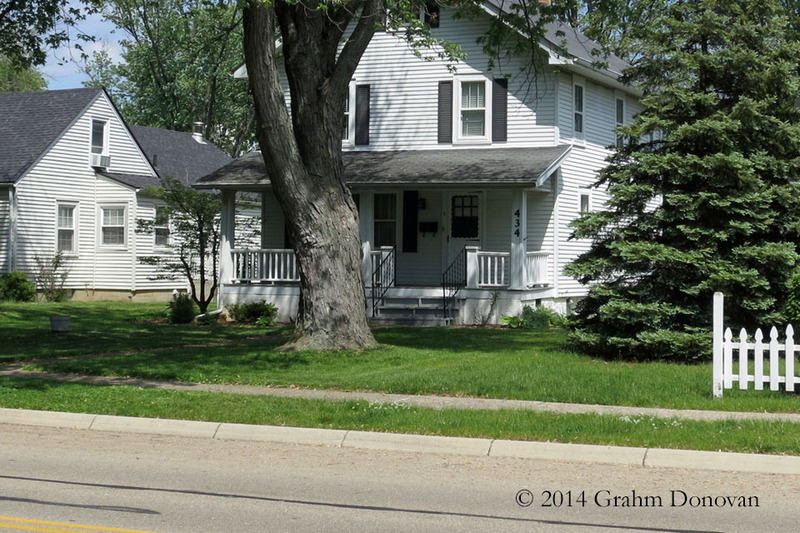 The Johnson house is located at 434 Deerfield Road, Lebanon, OH 45036. Reference: I was aware of the location from my familiarity with the area, and it’s also listed on IMDb. * In the song, Mrs. Johnson “had a teenage daughter who attended Harper Valley Junior High,” but, in the movie, the envelope with the P.T.A. letter is from “Harper Valley High School.” While there’s no uniform definition of “junior high school” across America, they can be for students in 7th, 8th and 9th grades**, whereas a “high school” might hold classes for students in 9th or 10th grade through 12th grades. I suspect that the filmmakers changed the setting from the song’s junior high to a high school to allow a slightly older Dee to have a character arc with a teenage romance. Angered by the P.T.A. letter, Stella stomps up the steps of Harper Valley High School to storm the P.T.A. meeting, while an embarrassed Dee tries to avoid it. The school building used in the movie is named for Lucile Berry, a longtime teacher in Lebanon, and had once been a high school. At the time of filming, the school was known as Berry Middle School, and is now the Berry Intermediate School, 23 Oakwood Avenue, Lebanon, OH 45036. Look for then-Lebanon-resident Woody Harrelson as an extra in a scene on the school’s front lawn. Stella’s friend Alice (Nanette Fabray) works in a local beauty shop, and the two meet there to plot revenge. The exterior establishing shot of the shop is at 30 N Broadway, Lebanon, OH 45036, which is now the home of iSAC Hobbies. 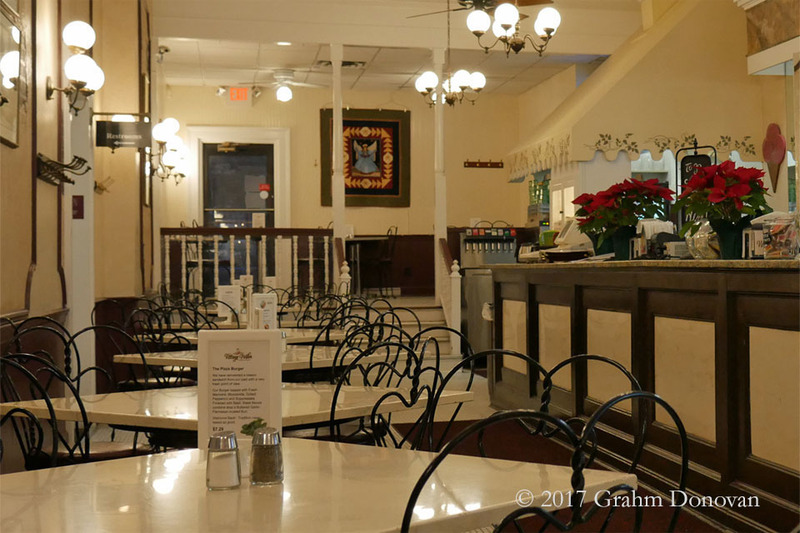 Interior shots of the beauty shop are obviously not at the same location seen on-screen, and were most likely filmed in California. Reference: I recognized this location due to my familiarity with the area. Dee meets her friend Mavis (Louise Foley) at a restaurant after the discovery of stolen P.T.A. funds. 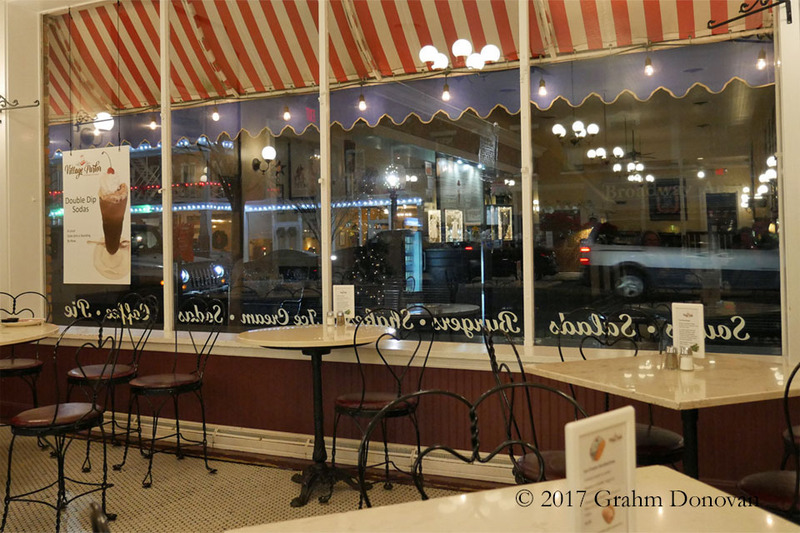 The on-screen ice cream parlor is the Village Ice Cream Parlor, 22 S Broadway St, Lebanon, OH 45036, and they’re proud of their part in two Hollywood movies, with a large, framed tribute to the filming of Harper Valley P.T.A. in their entryway. 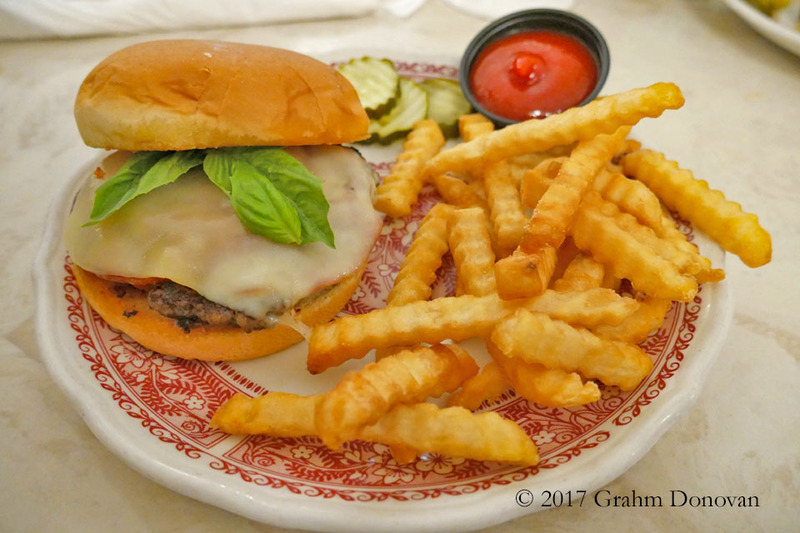 The Village Ice Cream Parlor has been serving up delicious food and ice cream since 1969, with a charm that hearkens back even earlier. Be sure to ask for their cherry-flavored Coke, and as a favor to me, ask when they’re bringing back the Pizza Burger. Willis “Will” Newton (Ronny Cox), Stella’s suitor, lives in a stately hilltop home on his farm, as seen in the opening aerial footage of the film. The exterior establishing shots of the farm were taken at 1784 W State Route 63, Lebanon, OH 45036, which was known at the time as Shaker Hill Farm. On Tuesday, May 23, 1978, Harper Valley P.T.A. had a special premiere at Lebanon’s Colony Square Cinema, and opened in a few other theaters in the Cincinnati area. As the film rolled out nationwide, it became a hit at the box office. When NBC aired the television premiere of the movie on Sunday February 24, 1980, it was the highest rated program for the week. The success of the TV broadcast led NBC to develop a TV series based on the movie, with only Barbara Eden returning to her role as Stella, for a half-hour sitcom that aired from January 16, 1981 through May 1, 1982. Harper Valley P.T.A. © 1978 April Fools Productions, Inc.